The internet has long been a daunting subject for parents across the World. Opening the doors to just about everything you never want your child to encounter, while also being an invaluable educational and social resource, figuring out how to balance internet usage in their daily life can be a seemingly impossible task. In the past, merely blocking the sites you wanted to keep from your child was enough. Nowadays, social media sites, like Instagram, have made the whole thing a lot more complicated. Unlike the typical sites a parent might want to block, there are plenty of benefits to a website or app like Instagram. Being a social platform, their main intention is to enable people to connect, making it an essential tool for a person who is developing their interpersonal skills. Instagram is also a very inspiring place, offering the chance to enhance a teen’s schoolwork by showing them things which they’ve never seen before. Unfortunately, this isn’t the only side of this platform. In November 2017, a 14-year-old girl named Molly Russell committed suicide inside her family home. Before her death, those around her had never noticed signs that she was struggling with her mental health, but the Instagram account she left behind told a completely different story. Having been presented with images relating to suicide and self-harm in her Instagram image suggestions, it is believed that Molly’s time on the app heavily contributed towards her death. While this case is very extreme, it shows why parents need to be so careful when their kids are online, and has opened the eyes of many governments, schools, and health organizations. Taking control of this element of a young person’s life is a challenge which a lot of parents fail to overcome. To give you a better insight into the tips and tools available to make this job more straightforward, this post will be exploring Instagram, and the methods being used by parents across the world to manage their children’s exposure to this wildly popular app. Before you can begin to solve a problem, it’s crucial that you have an understanding of the risks which come with it. It’s easy to assume that your child is innocent or wise enough to avoid the wrong side of the web. Along with this, some parents don’t realize that there are so many dangers in a place like Instagram, and this can create problems of its own. You can find a list of the common risks found on apps like this below. It’s important to remember that there are solutions to these issues, though, and you don’t have anything to worry about at this stage. Stranger Danger: There are a lot of people on the Internet, and Instagram has around 1 billion users. Most of these people are honest and friendly, but there are those who are willing to manipulate young people, opening the doors to grooming. This has led to countless cases of teens being sexually abused, along with less common issues, like radicalization, and this is a nightmare for any parent. Harmful Content: Websites like Instagram and Facebook use complicated algorithms to ensure that the right content is displayed to their users. These systems can be manipulated with ease, though, and this can lead to material being presented to your child which they should never have the chance to see. Of course, they can also search for images you wouldn’t want them to see. Misleading Information: Social media sites have been the subject of a lot of negative press over their handling of misleading information filling their pages. While this can have a noticeable impact of spreading ignorance, it can also create a darker problem, with many cases of political and religious extremism being fueled by content which is shared on social media. Addiction: Children and teenagers are largely sheltered from issues like addiction, with the chemical substances which can cause this problem having strict age limits. It’s legal to access social media from as early as 13-years-old, though, despite these tools being magnets for those with addictive personalities. With these platforms being available in teenager’s pockets, it’s hard to know exactly how much time they are spending on them. Before being strict or setting rules, it’s worth trying to solve the concerns you have surrounding social media by building an open dialogue between yourself and your teenager. A lot of parents assume that apps like Instagram are inherently harmful. In reality, though, the majority of young people can use tools like this for a long time without ever running into problems. A big part of this revolves around explaining why you are worried about their social media usage. Letting them know that there are bad people they shouldn’t talk to, and content which they should avoid isn’t the same as exposing them to it. In fact, by removing the taboo from subjects like this, you can make it far easier for your teenager to be open, as they won’t be left in a situation which they don’t understand. It’s not uncommon for young people to avoid speaking up, merely because they assume that they will get into trouble. Some parents will find this to be a speedy process, while others will have more trouble, but your results don’t reflect your ability as a parent here. Unfortunately, with all teenagers being different, it is impossible to say that the same methods will apply to all of them, and this means that some parents will have to take a slightly stricter approach. Built-in Instagram parental controls is practically non-existent, though. This means that you’ll need to develop your strategy, but there are some tips and tricks out there which have already been tested by other concerned parents. Rules and boundaries can often be frustrating for someone on the verge of adulthood. Not only will they feel as if they can look after themselves, but they may also have a rebellious streak, and this poses a challenge to parents who haven’t dealt with many conflicts before. One of the best ways to help a teenager to respect rules is by letting them negotiate the terms which they have to follow. While this is a small gesture, it will inspire them to work hard to keep ahold of what they have managed to argue for. Age: Instagram’s terms and conditions state that users must meet the age requirement for online interactions in their home country or be at least 13-years-old before they are allowed to use the service. While you don’t have to let them use an app like this from the earliest opportunity, it’s worth thinking about how many of their friends might use Instagram as their primary form of communication at this age. Some parents won’t allow their kids to use social media until they are as old as 18. Time: The time a young person spends on social media is a paramount consideration to make. Around 41% of US teens openly admit that they spend too much time on social media, and studies have started to show that this can harm their social development and education. Being exposed to systems which promote popularity-based competition all the time isn’t healthy when someone may already struggle with their self-image. Restrictions: While Instagram doesn’t make it possible to block certain types of content from an account, you can still talk to your child about the sort of material they are allowed to view. Images and videos which relate to hobbies, entertainment and media, and anything else which a young person is interested in will be fine. Violence and other extreme content, though, should certainly be avoided. This is an excellent way to put a young person’s trust to the test. Protecting your kids from the dangers of the online world can often be more complicated than parents expect. With social media platforms being so new, keeping a teenager from stumbling into the wrong places can feel like an impossible task. Thankfully, the companies which build apps like Instagram have been under a lot of pressure to improve the control parents have over their children’s accounts. Along with this, concerned communities have also teamed up, and this has lead to the creation of a vast range of resources to support you. Instagram: While they are behind the platform which has caused so much trouble for parents, Facebook, the parent company of Instagram, has been working extremely hard to provide information to parents which can improve their kid’s online safety. They have created a cover-all document which is designed to give you everything you need to get started with this. You can download it for free from their website. Blogs/Forums: Along with the direct support which parents can receive for social media, there are also plenty of posts and articles, just like this one, which is written to lend a hand to concerned mothers and fathers. While Instagram’s document will cover everything related to the platform, blogs and forums can provide you with additional ideas, like speech methods which will enable you to have more authority over your little ones. Teachers/Other Parents: If you’re stressed about your teenager’s relationship with social media, you can bet that you’re not alone. There will be other parents at your child’s school with similar worries, and the teachers who support them will also have their ideas. Working as a team is a great way to solve the problems which social media can cause. When one teenager is looking at lousy content or acting up, the rest can soon follow, and it makes sense to keep in contact with other parents in case they find something worrying. 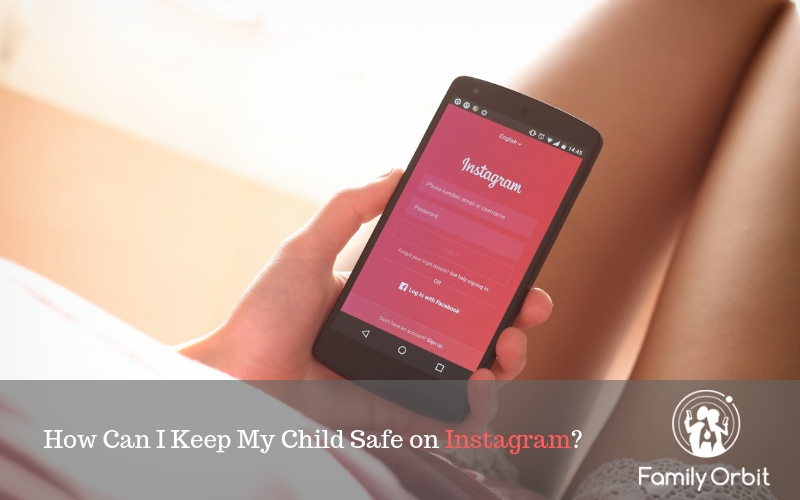 At this point, you should be feeling reasonably happy with your child’s safety on apps like Instagram. While you have built a strong and trusting relationship, though, it is still worth keeping an eye on what they are doing. Private messages should remain private, but you can always ask them who they’ve been talking to and should keep an eye out for any names which you don’t recognize. Along with this, you should also follow their account, as this will enable you to see what they’ve been posting, while also showing you some of the content they’re interacting with. If your teenager is happy with it, it doesn’t hurt to have a peek at the app on their phone every week or so to see what they’ve been up to. If you continue to feel concerned about your teenager’s time on Instagram or would like to have a little more control over it, there are still steps which can be taken to achieve this goal. Instagram parental controls may not exist in an official capacity, as Instagram privacy rules are stringent and intentionally broad. Instead, our smartphone monitoring tools can provide you with everything you need to keep an eye on your child’s social media usage. This service goes further than simple tracking, though, offering the ability to take direct control of your kid’s devices, and giving you the power to stop negative behavior in its tracks. Using a tool like this doesn’t mean that you don’t trust your child. GPS tracking, for example, isn’t designed to allow mothers and fathers to scrutinize their teenager’s activities, instead of making it easier to find them when they’re not in the right place. Of course, a lot of teenagers don’t like the idea of their parents having this much control over their phone. If it is posed as the option between monitoring or having no social media accounts at all, though, the choice should be excellent and easy for them. As time goes by, more and more people are demanding that social media companies take more responsibility for the influence their platforms can have on young people. This means that it is only a matter of time until you can sleep easy, knowing that your teenage children are safe from the threats which can be found around the web. Remember; as their parent, you always have the final say when it comes to decisions like this, no matter how upset it might make them at the time.